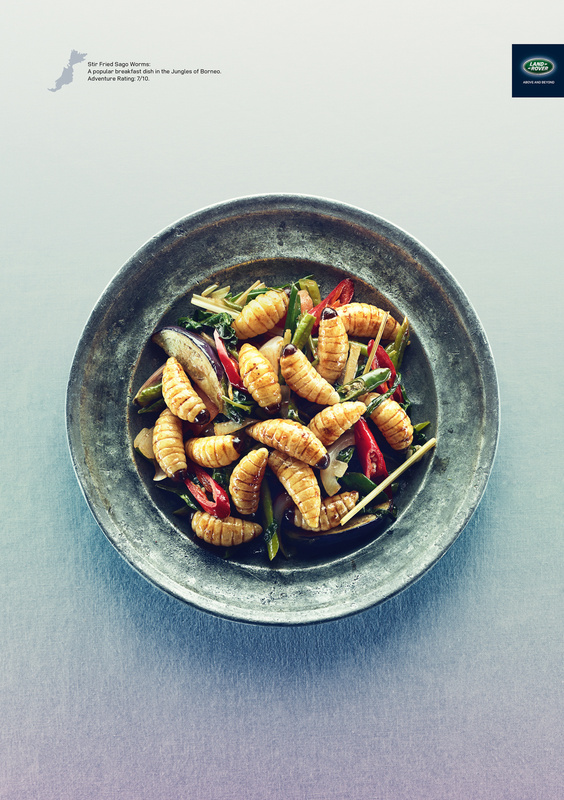 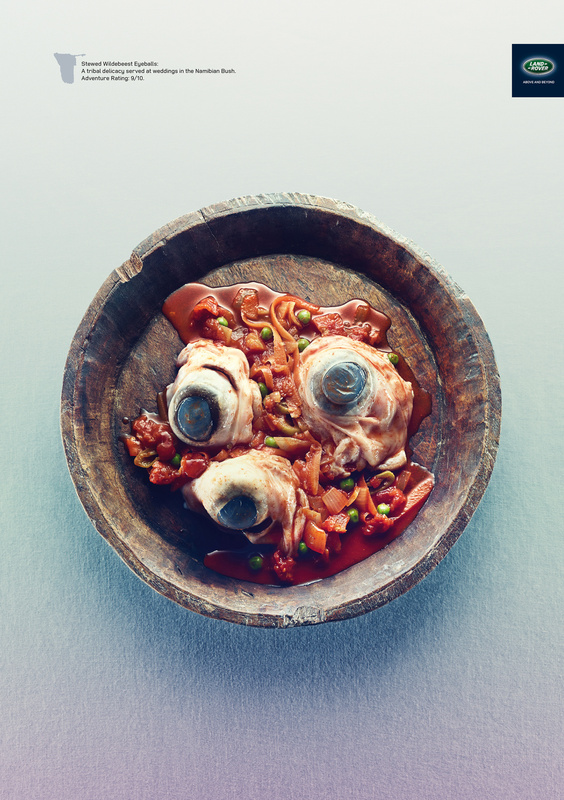 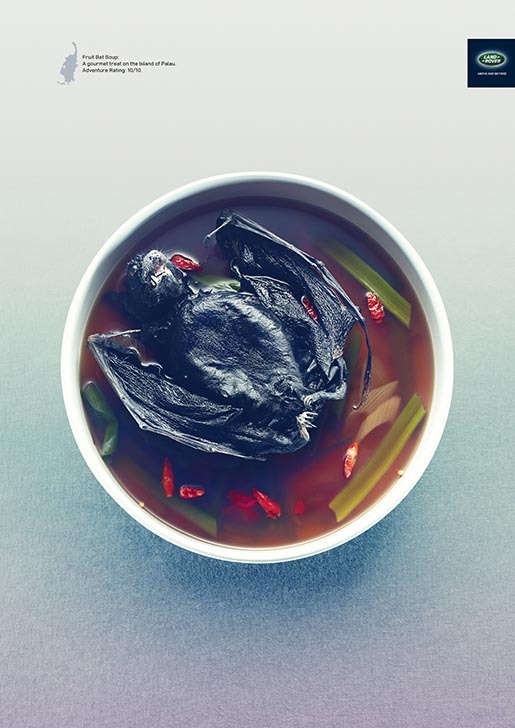 Land Rover’s Eating Out campaign, featuring toasted dhab lizard with biryani rice, fruit bat soup, Goliath tarantula, stewed wildebeest eyeballs, and stir fried sago worms, has been recognised with a Gold Press Craft Lion for photography. 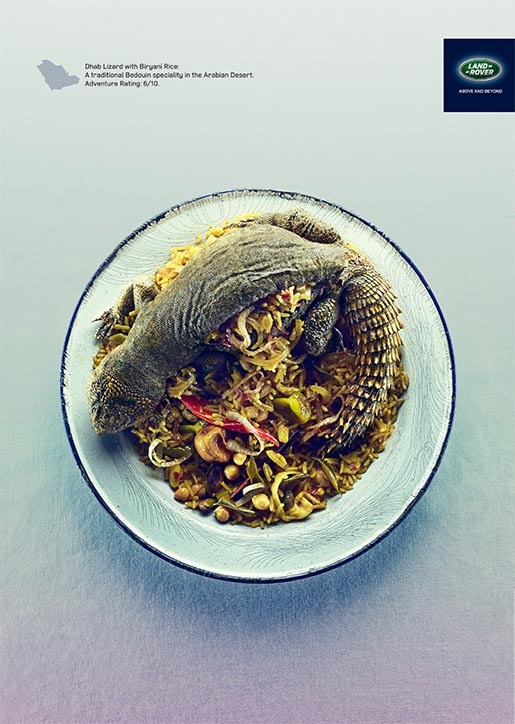 The campaign provides five dishes, with adventure ratings ranging from 6 to 10 out of 10. 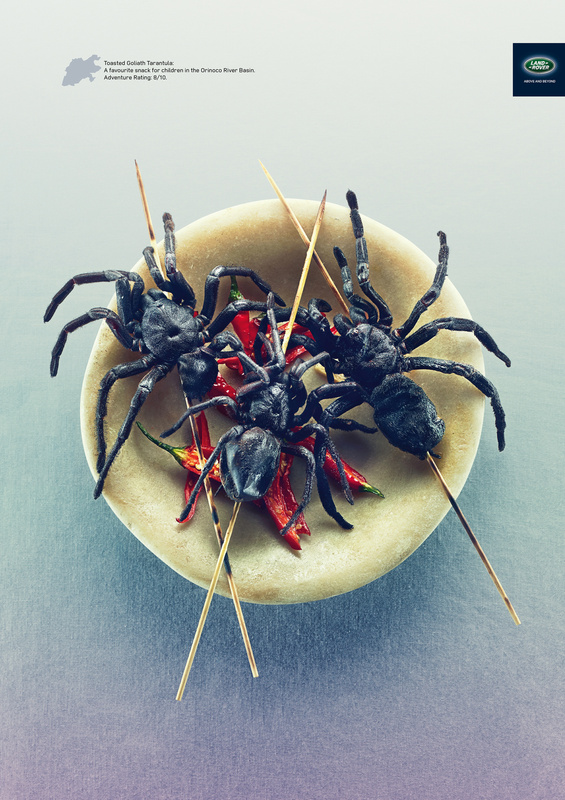 The Eating Out campaign was developed at Y&R MENA, Dubai, by chief creative officer/creative director/copywriter Shahir Zag, creative director/art director Kalpesh Patankar, head of production Amin Soltani, account manager Pierre Farra and photographer James Day.